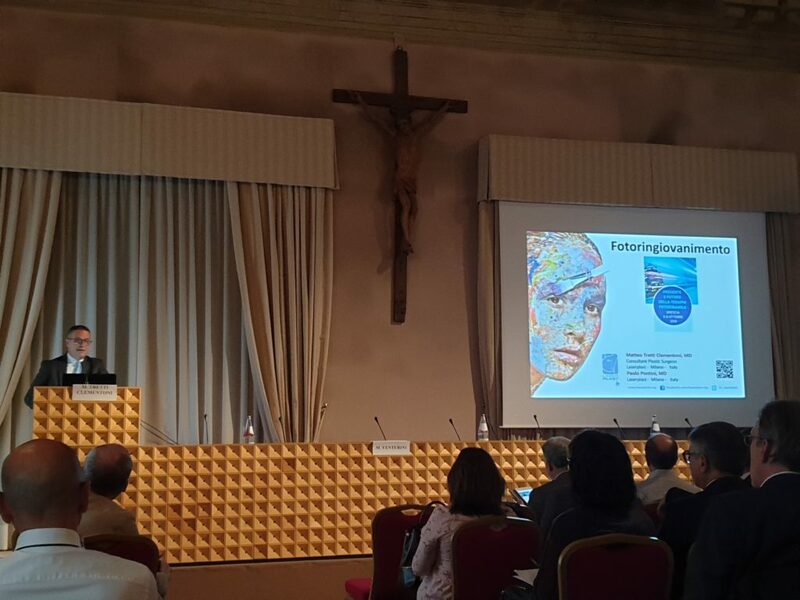 On October 6, at the Paul VI Pastoral Center of Brescia, was hold a nice little event about the use of photodynamic therapy. Prof. Calzavara Pinton was able to gather a group of colleagues who have described this type of therapy in all its aspects. In fact, topics ranged from the classic treatment of actinic keratosis’ treatment to skin cancer’s treatments, from the treatment of the inflammatory lesions to the infections’ treatment. I had to describe the photorejuvenation treatment (which I really appreciate). I liked a lot the reports of prof. Dirschka and prof. Szeimies, but in particular, I appreciated the report of prof. Fargnoli, who described the daylight PDT in a very clear way as well as highlighted how to increase its effectiveness. Little tricks that I’ll use soon.